Hey little Mack fans! 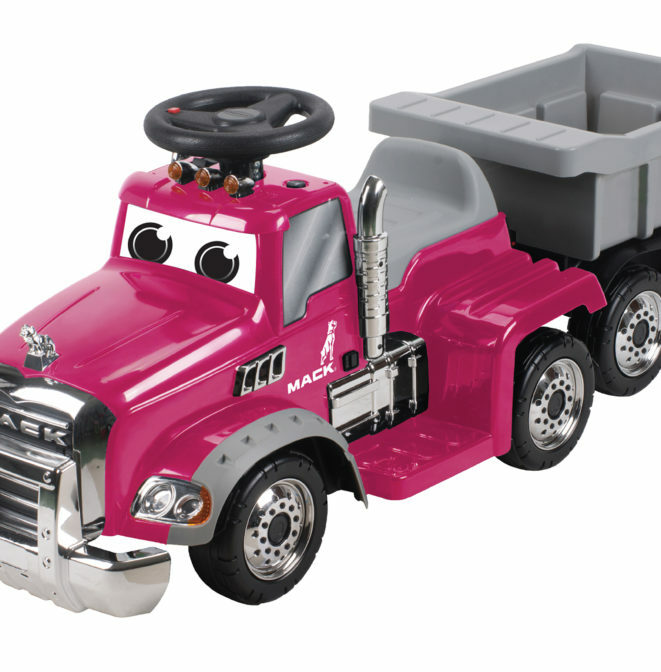 If you are 1.5 years old or above and weigh under 44 pounds, go grab your Mack Truck. It’s time for you to drive your own Mack Truck with the most awesome ride ever! It moves at a speed of 1.5mph, with forward and reverse gears. You will definitely keep riding on this safe-but-thrilling truck until your bed time. It’s powered by a 6V rechargeable battery. You can undoubtedly spend hours to drive and haul. Features also include a detachable trailer which helps you to deliver your treasures. Don’t forget to press the accelerator button and buttons of electronic sound effects. They are astonishing.